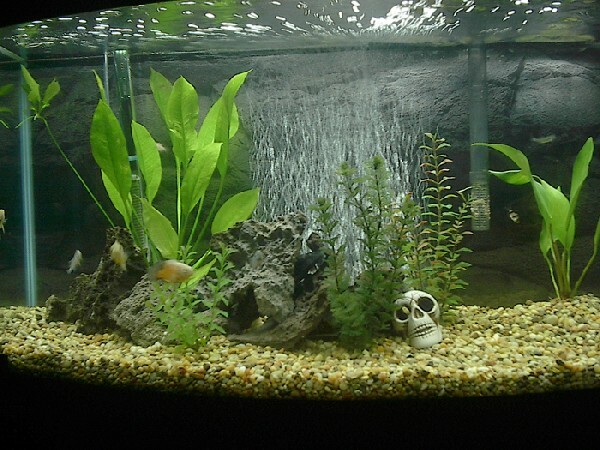 Description: This is the aquarium I bought for my 3 oscars. I brought the eel to petco, he was too big. The oscars loved the extra room. I knew they would outgrow. However Ich got to my aquarium, only one oscar survived. after all 3 getting sick 3 times. Now he outgrew the tank and I gave him to a friend.